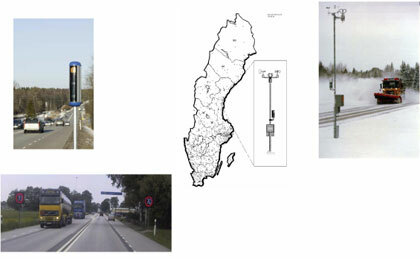 The Swedish National Road Administration (SNRA) is launching a trial project on variable speed limits for five years between 2003 and 2007. 18 locations have been chosen for these trials. Variable speed limits mean that the maximum permitted speed is not fixed, but varies according to the traffic situation. Speed limits could vary from 30 km/h through 120 km/h, in 10 km/h steps. 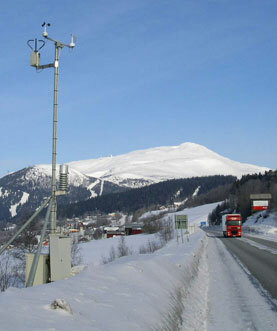 Similar systems have previously been successfully tested in several other countries, including Finland and the UK. Trials with recommended speed limits in Sweden have been carried out in two tunnels in Göteborg, on the E4 highway through Stockholm, the E22 highway in Blekinge, and the Sälen highway in Dalarna, all with positive results. The project is essentially about increasing acceptance for, and compliance with, speed restrictions, which is expected to improve accessibility, road safety and environmental conditions.